Within the south east you will find many options for your ideal luxury spa break. Within the area, are many glorious venues offering you a truly magical spa break experience within one of our fantastic hotels. 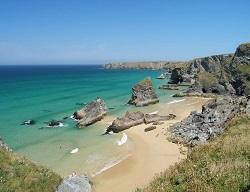 From a beautiful 5 star venue in West Sussex name the Alexander House to the pure tranquil of the wonderful Bedruthan Hotel in Cornwall. With its extensive spa facilities including an outdoor pool perfect for the hot summer months and the stunning panoramic views out over the ocean. Two of the world famous Champneys venues are located in the area both with our discounted rates making them hard to resist. Explore the hotels below to find your ideal spa break in the south of England.